Plumbing Utah Heating & Air | Sandy Furnace & AC Repair | HVAC Co.
Our technicians and heating contractors are ready 24 hours a day to answer any questions and schedule a service call, repair or installation as soon as possible. As a company, we pride ourselves on being able to offer to top quality service all while saving you money. Our focal point is customer satisfaction, quick turn around times and above all safety. Plumbing Utah Heating & Air specializes in air conditioner repair, installation, and maintenance. Our AC technicians and cooling experts serve all residential and commercial customers alike. No job is too large or too small for our team. We are dedicated to getting your home or business at comfortable temperatures as quickly and effectively as possible. Our air conditioning contractors are happy to offer free consultations and are available 24 hours a day for all calls and emergency situations. Do you have a burst pipe or similar issue? Our team has seen it all and can fix it all. With over 70+ years experience right here in Utah, you can rest assured that we can get your plumbing working just like new, right away and at a great price. Your home or business receives water from the city, with your water main and sends water and waste out through your sewer main. When either one of these pipes has issues or starts leaking it can mean big trouble. That is why we are on call 24/7 to serve you. We apply our knowledge and understanding to get the best prices for you. We have a great sense of respect that goes into every job we do. 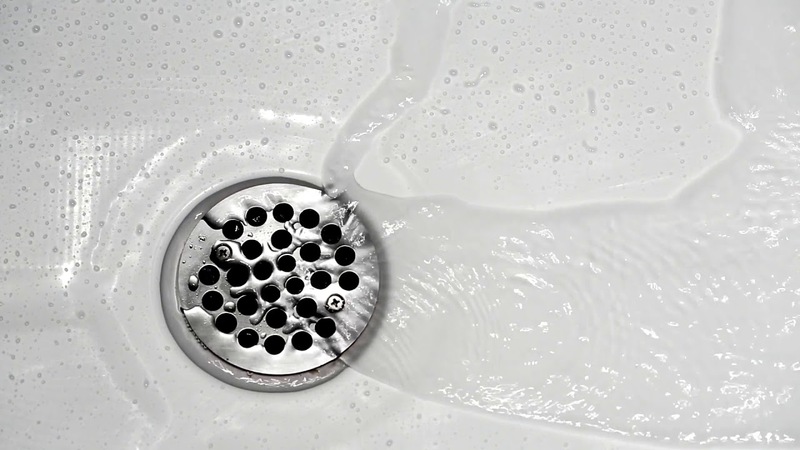 Our plumbers and HVAC techs believe in cleanliness when it comes to their work. We always wear protective boot covers, lay down tarps and leave any excavation project looking like it did before we started digging and laying pipe. We have the team and talent to handle any plumbing issue. Throughout the years we have earned a reputation for our skills in leak detection, drain cleaning, medical gas, rooter plumbing, and commercial/residential service & repair. We are centrally located in Sandy, UT. Our quick and responsive team is ready to come to your location within minutes for Murray, Midvale, Taylorsville, and Millcreek, Park City and all of The Wasatch Front. Please look at all areas we serve for more information. The experts at Plumbing Utah were so fast and courteous. Brandon came out to my house the day I called him and fixed my disposal right on the spot. I would recommend their services any day of the week. I was so impressed with them. They came out fast and immediately diagnosed the problem. Once the part came, they were able to fix it within an hour. Mitch was awesome to work with. Thank you! This company was so great to work with. They came out and fixed our leak within hours of me calling. Mitch & Dominique provided fast, thorough service and the price was very reasonable. I will call these guys again, without a doubt. Ron does a great job, and I trust the guy. We’ve been using him for our properties (we manage six rentals that get a lot of use) and he comes through for us every time. Review Plumbing Utah Heating & Air online. Plumber and leak repair team leads. No matter how large or how small your problem may be, we are here to help you. We are conveniently located in the heart of Sandy, UT and are happy to travel to your location. What sets Plumbing Utah Heating & Air apart from other companies is the fact that we can offer top quality service in many aspects of the plumbing and HVAC trades. We also offer great prices, in fact, we save our customers an average of 20-30 percent of other estimates. No gimmicks, no non-sense and the utmost customer service is what you can expect from us. With over 20 years of experience plumbing right here in Utah. We’ve built our company on low pricing, and exceptional, professional work. You can trust that only a licensed, qualified, insured professional will be fixing your problems. We know that Utah has very unpredictable and extreme weather conditions. Our staff takes all these things into consideration and before beginning any work for any customer. Right from the beginning, we take the proper diagnostic steps to ensure that no shortcuts are taken. Our high standard of protocols helps to ensure that once a problem is fixed, it stays fixed for years to come. Plumbing problems can happen at any time, they don’t take breaks and neither do we. That is why Plumbing Utah Heating & Air is happy to provide 24 hours, 365 days of the year service to all of Salt Lake City. We know that plumbing issues can happen at any time, and emergencies can’t wait until normal business hours to begin. We have staff on the phone at all hours. This means that you can call our office number whenever you need a plumber and we will have a skilled technician out to you as soon as possible. Do you have a burst pipe or similar issue? Our team has seen it all and can fix it all. With over 20 years experience right here in Utah you can rest assured that we can get your plumbing working just like new, right away and at a great price. Your home receives water from the city, with your water main and sends water and waste out through your sewer main. When either one of these pipes has issues or starts leaking it can mean big trouble. That is why we are on call 24/7 to serve you. Making sure that your drains are clean and that your toilet properly flushes is vital to having a comfortable and happy home. Our technicians and plumbers have all the necessary skills and equipment to install or fix anything in your bathroom. It is our job to get your home or business air conditioner back up and running as quick as possible. Our cooling experts can help find the perfect solution in a way that is energy efficient all while saving you money. We handle all air conditioner, and central air repairs, maintenance, and new installations.